The goal of this paper is to determine how the geometry of the vehicle’s frontal profile is influencing the pedestrian’s head accelerations (linear and angular) in car-to-pedestrian accidents. In order to achieve this goal, a virtual multibody dummy of the pedestrian was developed and multiple simulations of accidents were performed using vehicles with different frontal profile geometry, from different classes. The type of accidents considered is characteristic for urban areas and occur at relatively low speed (around 30 km/h) when an adult pedestrian is struck from the rear and the head acceleration variation are the measurement of the accident severity. In the accident simulation 3D meshes were applied on the geometry of the vehicles, in order to define the contact surface with the virtual dummy, similar with real vehicles. The validation of the virtual pedestrian dummy was made by performing two crash-tests with a real dummy, using the same conditions as in the simulations. The measured accelerations in the tests were the linear and angular accelerations of the head during the impact, and these were compared with the ones from the simulations. After validating the virtual model of the car-to-pedestrian accident, we were able to perform multiple simulations with different vehicle shapes. These simulations are revealing how the geometric parameters of the vehicle’s frontal profile are influencing the head acceleration. This paper highlights the main geometric parameters of the frontal profile design that influence the head injury severity and the way that the vehicles can be improved by modifying these parameters. 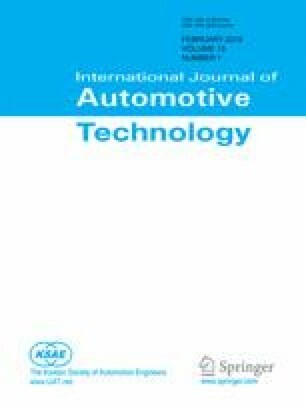 The paper presents an approach to determine the “friendliness” of the vehicle’s frontal profile in the car-to-pedestrian collision.